Stand out from the crowd with unique and custom pull up banner stands with no extra lamination needed. Our roller banner selection measures from 800 x 2000 mm in artwork size and has excellent print quality finish with vibrant colours to highlight your products or services well. 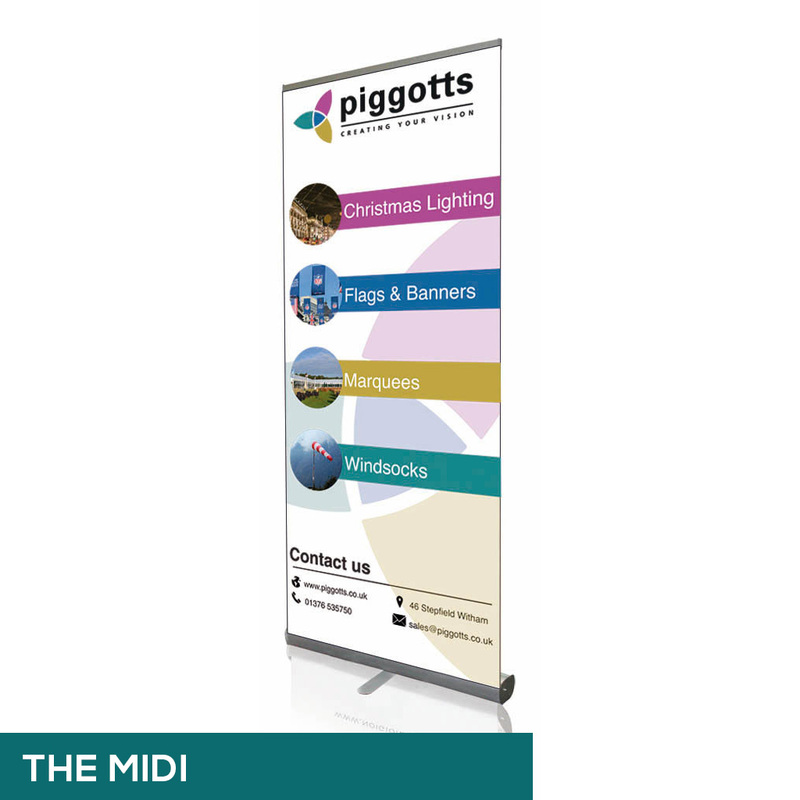 The Midi pop-up banner is a two feet wide solid performer which offers a heavy base, with a standard pole and an innovative top bar that clamps onto the banner. The midi is ideal for semi-permanent placements and events such as exhibitions. It’s easy to use and the cassette comes with a four-year guarantee. 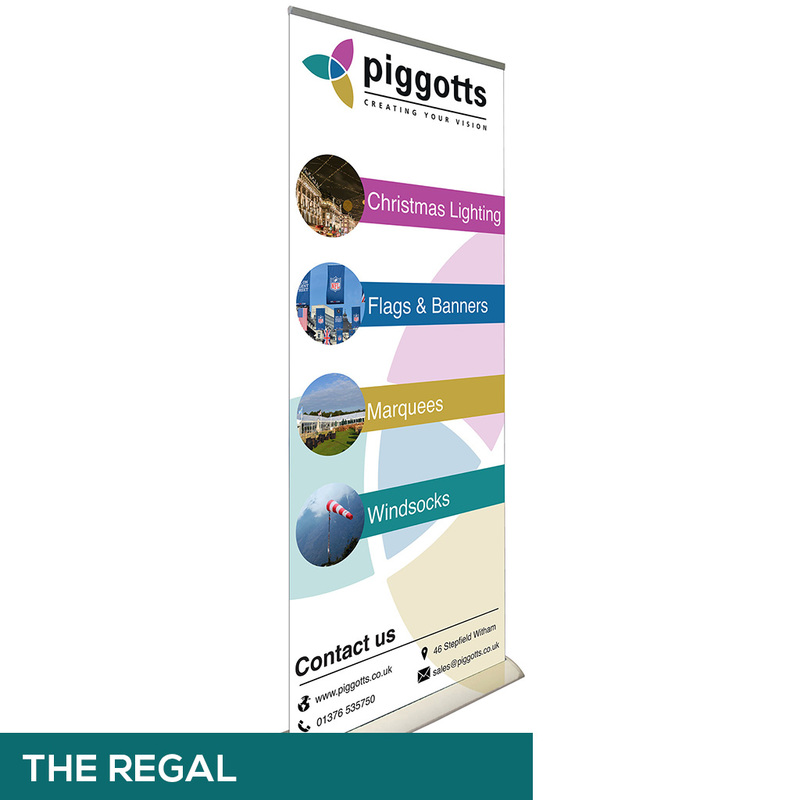 The Regal display banner stand is our flagship product, which offers a self-supporting base with no feet. The construction of the cassette is very robust with a solid pole and heavy duty top rail. The regal is perfect for permanent installations where sleek looks are required such as reception areas, venues, shops or cafés. The cassette is backed up by a six-year guarantee which offers peace of mind. The regal also comes complete with its own padded travel bag. For more information on our pop-up banners and delivery methods, please contact one of our sales team at 01376 514 732 or fill in our contact form.